Over 25 years of experience in life science and drug discovery industry. Ms. Kido received her Master’s degree in pharmaceutical sciences from Hokkaido University, Sapporo, Japan. After serving as a research associate at Health Sciences University of Hokkaido, she joined Bayer Crop Science and did research work as a chemist. In 2000 she received her MBA from Simmons Graduate School of Management, Boston, USA, and joined Summit Pharmaceuticals International Corporation, a subsidiary of Sumitomo Corporation, Tokyo, Japan, where she started her business development career. At Summit, she was first responsible for identifying life science investment opportunities worldwide, then involved in CRO business in emerging countries such as Russia, China, and India. 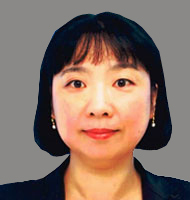 Prior to Jubilant, she worked for Shanghai ChemPartner, and Albany Molecular Research Inc (AMRI) as a business development representative in Japan to promote drug discovery, process development, and API production programs.